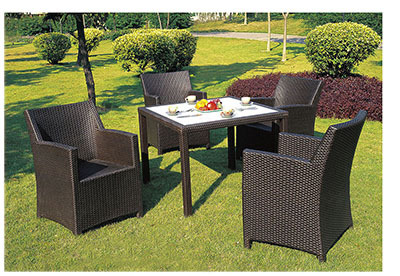 Product categories of Square Patio Dining Set, we are specialized manufacturers from China, Square Patio Dining Set, Wicker Square Dining Set suppliers/factory, wholesale high-quality products of Outdoor Square Dining Set R & D and manufacturing, we have the perfect after-sales service and technical support. Look forward to your cooperation! 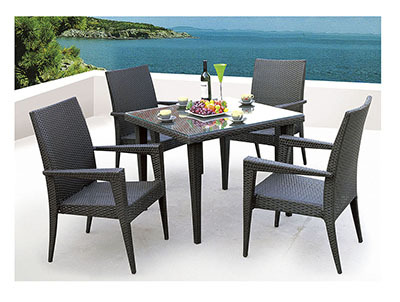 Square aluminum Patio Dining Set are welcome four place settings and with hand rattan weaving rattan, to make your life different and special. 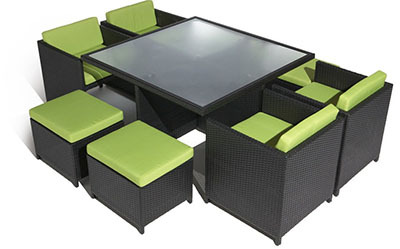 You can choose different size and color to decorate your dining and garden. The quality is last year in, year outside for at least two years. 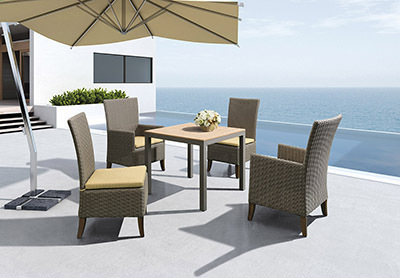 Pair with handwoven wicker Beaumont Dining Collection, which includes armchairs, corner, right-facing and left-facing loveseat. 1.our factory is more than 20000 square meter big. 2. Our showroom is about 800 square meters. Welcome your inquiry for further discussion.